Monmouth, Ocean, Middlesex, Essex and Hudson Counties in New Jersey. 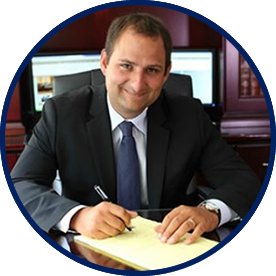 Steven Dimian and Patrick Masterpalo’s main focus is to assure their clients get the individual attention and expertise required to receive the justice and compensation they deserve. From the moment of the accident through the entire litigation process, if you decide to make a claim Dimian & Masterpalo are there to advise you every step of the way. Dimian & Masterpalo’s goal is to provide clients with the best legal representation through unmatched client service, uncompromised professional integrity, and dedication in the field of law as it pertains to motor vehicle and slip and fall accidents. TO LEARN MORE ABOUT HOW TO HAVE DIMIAN & MASTERPALO AS YOUR LEGAL TEAM, CALL AND ASK FOR ONE OF OUR PARTNERS FOR A FREE CONSULT AT: 732-508-9200. NO FEE GUARANTEED, IF WE DON’T WIN, YOU DON’T PAY! With 98% of business coming from car accident victims, Dimian & Masterpalo has the experience and skills to guide their clients through the complicated legal issues that may arise in these cases. Together they have brought thousands of these types lawsuits to a successful conclusion. If you are looking for a top personal injury lawyer, we invite you to learn more about the dedicated team at Dimian & Masterpalo who have helped thousands of accident victims in New Jersey. 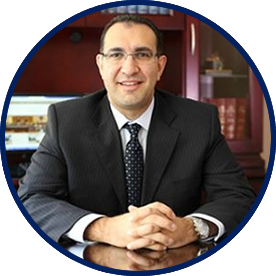 Steven Dimian has been an attorney focusing on automobile and personal injury cases his entire career, successfully representing thousands of personal accident victims. A life-long resident of New Jersey, Steven graduated Seton Hall University School of Law, where he received a Juris Doctor Degree. Following law school, Mr. Dimian served as a judicial law clerk in the New Jersey Superior Court, Law Division, Hudson County with the Honorable Judge Joseph Charles, J.S.C., before joining Anise & Anise Attorneys at Law. 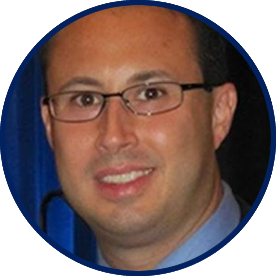 In 2006 he formed his own law firm, Steven B. Dimian Attorney at Law. He later teamed with Patrick Masterpalo to form Dimian & Masterpalo Attorneys At Law with the goal of merging their backgrounds and expertise to be able to offer the very best legal services to the injured victims of auto and slip and fall accidents. Mr. Dimian is licensed to practice law in New Jersey and before the U.S. District Court for the District of New Jersey. Mr. Dimian is also a member of the New Jersey State Bar Association. Patrick Masterpalo co-founder of Dimian & Masterpalo Attorneys at Law teamed up with Partner Steven Dimian, based on their shared goal: to fight for the rights of those injured in auto and slip and fall accidents. A life-long resident of New Jersey, Mr. Masterpalo graduated Widener Law School where he received his Juris Doctor Degree. He began his career as a criminal defense attorney with Brooke, Barnett & Associates, appearing before Federal and Superior Courts in Monmouth, Ocean, Hudson, Essex, Somerset, Bergen, Passaic and Union Counties. He then joined the law firm of Anise & Anise where he concentrated on personal injury law, handling thousands of cases and finding his passion in representing accident victims. While with Anise & Anise, he was instrumental in winning numerous cases, among them a $1.4 million personal injury case. Mr. Masterpalo is licensed to practice law in New Jersey as well as the U.S. District Court for the District of New Jersey. Mr. Masterpalo is also a member of the Monmouth County Bar Association and the American Bar Association. Richard A. Foster earned his law degree from the Roger Williams University School of Law in Bristol, Rhode Island. As a law student, Mr. Foster served as a summer law clerk intern in the State of Rhode Island Superior Court with the Honorable William A. Dimitri, Jr. Following law school, Mr. Foster served as a judicial law clerk in the New Jersey Superior Court, Law Division, Criminal Part, Sussex County with the Honorable N. Peter Conforti, J.S.C. After he completed his clerkship, Mr. Foster was associated with the law firms of Robinson Burns, LLC in Bridgewater, New Jersey and The Brennan Law Firm in Cranbury, New Jersey. Mr. Foster is licensed to practice law in New Jersey, New York, the District of Columbia and before the U.S. District Court for the District of New Jersey. His experience includes personal injury, complex civil litigation matters, environmental and toxic tort litigation, commercial litigation, insurance defense litigation, and insurance coverage disputes.